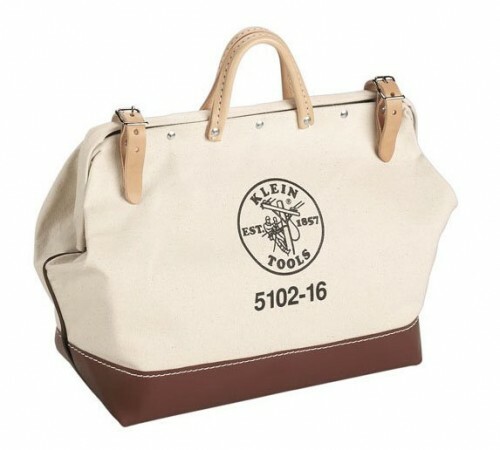 This Canvas Tool Bag is the type used by carpenters and other tradesmen. I’ve found it perfect for carrying miscellaneous video, audio, lighting and grip gear. Comes with a lifetime warranty. It will last forever and is very strong. And the price is right. It’s $53.